Congratulations to "Ami S." and "Bn100", the winners in Susanne's giveaway. Thank you to all who participated! Good morning and thank you for inviting me to blog once again on JCR. It’s always a pleasure to share my work and ideas with you. Comment on this post for a chance to win one of two copies of Wedding Bell Blues. This morning, I would like to talk about blending ideas in a contemporary romance novel. As some of you know, I am a multi-genre author. 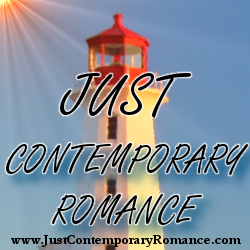 I write historical, suspense, contemporary, paranormal, and sci-fi, all under the umbrella of romance. I love my happy endings whether they be happily ever after or simply happy for now. The news is filled with enough doom and gloom, the last thing I want to do is focus on that in my writing. I truly believe a romance novel should help you escape reality if only for a short while. After completing back to back suspense novels earlier this year, I decided I needed a break from ‘heavy’ writing. When I decided to write Wedding Bell Blues, I wanted to pen a light story that would engage all of the reader’s emotions. I wanted you to feel MJ’s anger, frustration, and self-doubt. I wanted you to laugh, cry, and chew your fingernails along with her. I hoped you’d know the depths of Paul’s dismay and fear that he would fail once more. Most of all, I wanted you to empathize with both characters as they struggled to deal with all of the emotions in the story. Sound like a tall order? It was. Every story needs a starting point, a place or an idea to get the creative juices flowing. Recently, I sent away for my ancestral DNA background. All my life, I’d been led to believe that I was French. Imagine my surprise when I discovered that, while culturally my people came from France to North America, I have no French blood per se. Thousands of years ago, my ancestors were 45% British, 14% Italy and Greece, 11% Iberian Peninsula (Spain and Portugal), 11% Europe West (which includes the Netherlands, Belgium, Germany, and all the rest) and finally 10% Irish. (I knew there was a reason I loved celebrating St. Patrick’s Day). Discovering I had that smidgen of Greek in me was a surprise, although I have always been fascinated by Greek and Roman history and mythology. My Big Fat Greek Wedding is one of my favorite movies, and my grandchildren’s father was first generation Greek on his father’s side. I got to see some of those traditions put in place, and I thought many people might be amused to read how they could adversely affect a young girl’s life, especially one with an independent streak a mile wide. So, I thought to myself, what can possibly go wrong for her? That’s when I decided to have a little fun at her expense. I love visiting northern New York state and Have been to Watertown several times. As a border city in the Thousand islands, it does see a lot of tourism. So, when MJ decides to move away from the imaginary town of Stilton, I sent her there. Similarly, Fort Drum is a well-known military base in the area, the fitting location to put my hero returning from his service in Afghanistan. Have you ever dreamed of meeting the love of your life after years apart? I think every girl does at some point, but when reality comes face to face with those dreams, they shatter. Seeing Paul again, her brother’s former best friend and her first love is just one of many disappointments MJ will face on her way to finding love and happiness. After a stint in the army and a near-death experience, Paul struggles with demons of his own, but he’s determined to help MJ. After all, she was like a sister to him, even if the vibes he’s getting now are anything but brotherly. Enter the next trope in the story. Who can possibly ignore the lure of magic and voodoo, especially in this day and age when zombies are so popular? Zombie walks in major cities attract thousands both as observers and participants. So, among the things MJ and Paul will face is interference from the Quimbois priestess and her spirits. Quimbois is the nature religion practiced on Martinique. And, since I love mythology and magic, I added a few new elements to it. Who doesn’t love mermaids? But that’s not all. Johnny Depp and the Pirates of the Caribbean couldn’t be overlooked, so I added a treasure hunt with cursed coins as the prize. And of course, my heroine can’t avoid getting herself kidnapped by an unscrupulous magician who wants the treasure for nefarious purposes, allowing my hero to ride to the rescue, on the back of a dolphin no less, and realize that love can indeed conquer all. Pulling all these ideas together into a cohesive story was fun. I hope you’ll enjoy reading the book as much as I enjoyed writing it. MJ's having a bad year. She’s canceled her wedding, but refuses to give up the honeymoon. 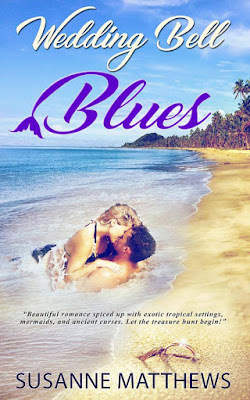 When she arrives on Paradise Island, she discovers her ex has changed the reservation. Stranded, she has to rely on her first love, a man who sees her as his kid sister, for help. When Paul discovers the man behind her plight is the bully who made his own teen years hell, he gets MJ to agree to pretend to be his fiancée. Reluctantly, she agrees. Add in mermaids, treasure hunters, and Quimbois magic, and anything can happen—even falling in love. Thanks for reading my post. Don’t forget to comment with contact information to win one of two digital copies of Wedding Bell Blues. I would be interested in reading this book.